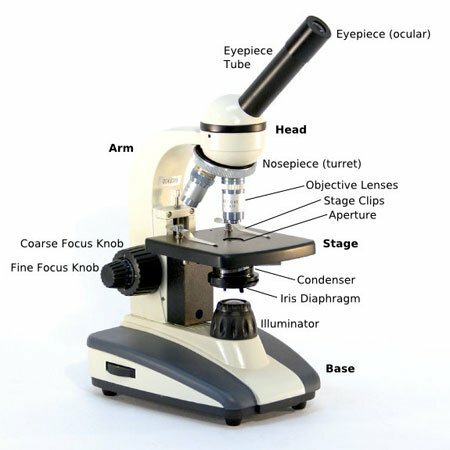 Monocular microscopes have a single eyepiece. Always keep both eyes open when using a monocular microscope. Binocular heads have two eyepieces. 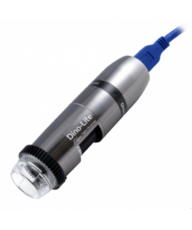 Trinocular heads have two eyepieces plus an additional port to which a camera can be attached for still and live imaging. 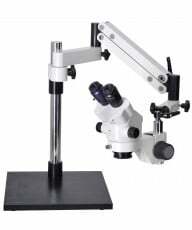 Digital Only are digital microscopes with no eyepieces to view the specimen with the naked eye. Fixed: Entry-Level, single, low power objective designed for Elementary School level. 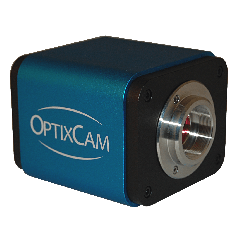 Dual Power: Two fixed, low power objectives, typically used when zoom magnification is not required or budget is a constraint. 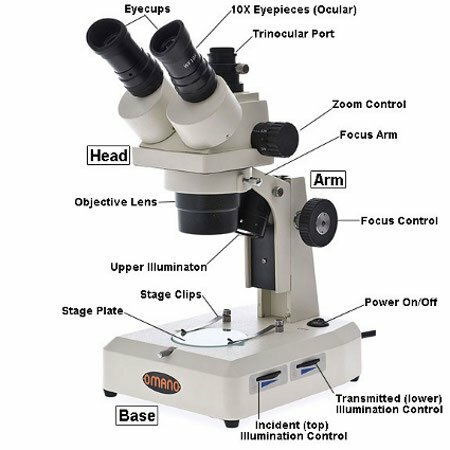 Ideal for young microscopists and hobbyists. Zoom: Allows a convenient seamless zoom throughout a magnification range, much like an SLR camera. More sophisticated design and are, therefore, more expensive than dual power microscopes. 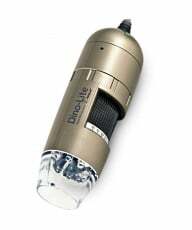 Halogen or LED illumination is standard on most good quality microscopes. Only advanced users will see the difference so the choice is a personal one. Halogen provides a bright white that is suitable for most applications. 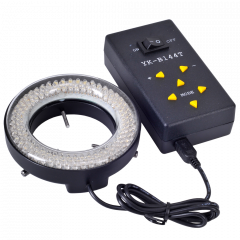 Since it is a hot light, it is not recommended where heat is an issue, such as live specimens. LED Illumination is an alternative to halogen with more of a bluish white light. It often includes rechargeable batteries for greater portability. Tungsten is typically used on microscopes where price is the primary purchasing criteria. With few exceptions, most DIno-Lite stands are easily portable. They also offer a variety of other features to suit different applications. 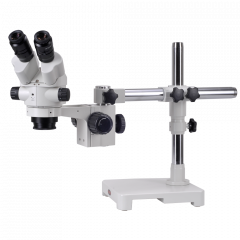 Specialty Microscopes include a range of professional compound and stereo microscopes for more advanced or specialist microscopy applications. 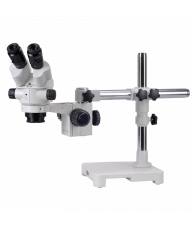 For example, fluorescence microscopes, polarizing and phase contrast, gemological and engraving microscopes as well as multi-headed teaching microscopes among others. 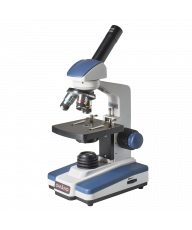 Microscope brands include Omano, Meiji Techno and Motic.